We provided architectural and interior design services for this project which has been added to the website as a typical example of one of our smaller cosmetic refurbishment projects. The works were a straight forward decorative refurbishment of an established wine bar in Baildon village, near Bradford, which was in need of a new direction. 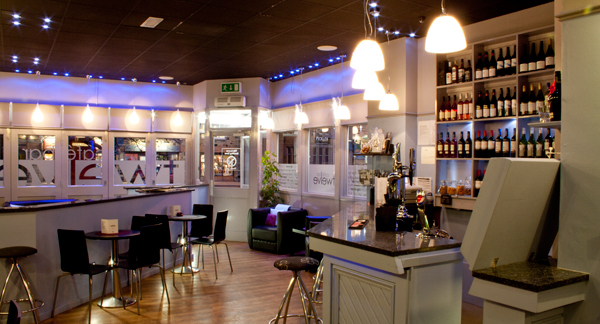 A new colour scheme, lighting and back bar were introduced, along with a complete overhaul of the drinks menu. The refurbishment and new approach of the owner and manageress has breathed new life into the venue and is attracting a more discerning type of clientelle. 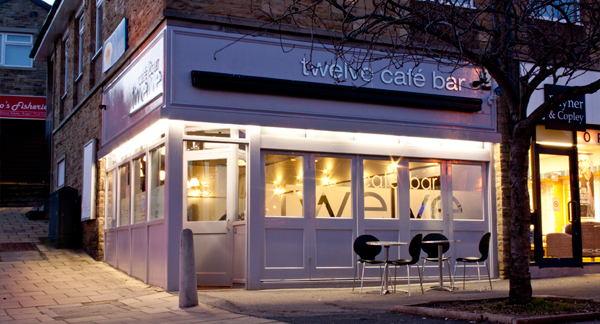 Open for a couple of months now, Twelve appears to be a huge success with the established residents of Baildon. An onus has been placed on quality customer service from manageress Jaiq and her partner John, as well as a strong focus on serving excellent quality coffee, fine wines, real ales and delicious, freshly-cooked mediteranean tapas style food. The feel of the venue is very much European and appeals to couples and families alike. Overall we consider it to be a very welcome addition to Baildon, and hope that it continues to be successful for many a year to come.